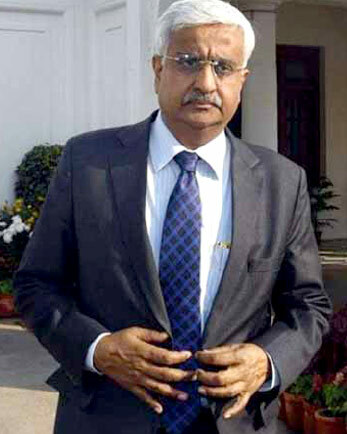 THE scary and sordid episode of Delhi Chief Secretary Anshu Prakash being subjected to physical violence in Chief Minister Arvind Kejriwal’s office at the ominous hour of midnight on February 19 is shocking and scandalous beyond belief. He was called by the Chief Minister at that unearthly hour purportedly in a matter of earth-shaking importance, namely, issuing full-page supplements to newspapers on completion of glorious three years of Kejriwal government! The sleep-disturbed head of the State bureaucracy entered the CM office blinking. He was made to sit between two burly, volatile legislators. He had no clue why he had been summoned at the dead of night. He had no notion what dire emergency had necessitated his being pulled out of bed. The Chief Minister came straight to the point and questioned him why the newspaper supplements had not been issued. The Chief Secretary was befuddled by the question. The issue of placing supplements in newspapers wasn’t of such import as to be on his fingertips. 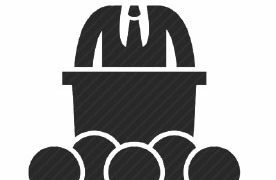 As a seasoned bureaucrat he probably replied: ‘I would have to check it up, Sir.’ His reply made the two bullish lawmakers, ensconced on his both sides, lose their temper. The special supplements were to celebrate the completion of three years by the present government and had to appear the next day. ‘But when will you check it up?’ they shouted at him. ‘The supplements had to reach the newspapers today so as to appear in the morning!’ Instantly they pounced on the unwary chief secretary, caught him by the collar and mercilessly rained fisticuffs on him! The Chief Minister remained a mute witness to this horrible outrage. I wasn’t present there, of course, and have only put two and two together from press reports. Probably the file was stuck in the office of the director of information and publicity, who is under the administrative control of the Chief Secretary. And when the promised full-page ads did not reach the newspapers, someone rang up the CM’s office about it at 11 p.m., adding that it was too late now as the city edition was now going to the press. 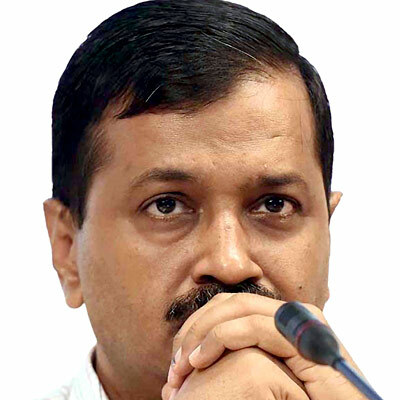 CM’s staff told Kejriwal about it and he felt incensed and instantly called the Chief Secretary from his house for an explanation of this grave lapse. For Kejriwal it was a matter of great importance. Probably no one reads the special supplements, but they are an accepted means of highlighting the achievements of government. He suspected sabotage. His government was a thorn in the flesh of the BJP government at the Centre and right from the start of his second innings as Chief Minister he had felt that he wasn’t getting full cooperation from the bureaucracy, possibly at Prime Minister Narendra Modi’s behest. The Lt. Governor, he felt, was putting spokes in the functioning of his government and the Chief Secretary too had probably taken the cue from him. INDEED the Delhi government, as constituted at present, is inherently anachronistic. Have you ever heard of a ‘government’ which has no police force under its control? The Lt. Governor of Delhi, a Government of India officer, controls the police, not the democratically elected Chief Minister! The Delhi government has no control over the territory. 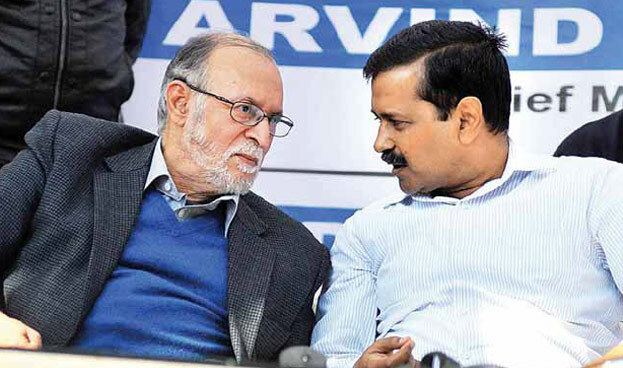 The most important public function of land development and housing is in the domain of the Delhi Development Authority, which is also directly controlled by the real boss of Delhi—the LG. Calling it a government is a travesty of terms. The two basic features that define a government are control of law and order and territory. The Delhi government is bereft of both. It’s not a government in its true sense, just a municipal corporation, as it used to be designated formerly. Indeed, officially Delhi is a Union Territory like Chandigarh, which is administered by central government officers. There is no dichotomy. There is nothing like a ‘Chandigarh government’ with a Chief Minister, just a municipal corporation with a Mayor. The present model works only when there is synchronicity in the complexion of the central and Delhi governments. 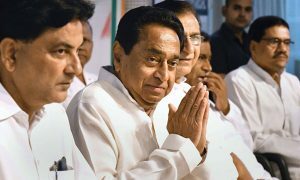 Before the accession of the BJP leader Narendra Modi at the Centre and the capture of Delhi government by Aam Admi Party leader Arvind Kejriwal, the Congress party held sway at both places and all was hunky-dory. The Lt. Governor was deferential to Congress Chief Minister Shiela Dikshit, not adversarial. He could never think of being antagonistic towards her. Arrest of the members of the Delhi Legislative Assembly by the police was unheard of then. Now the MLAs are the prime target of Delhi Police! BUT consider this. We have patterned our Constitution broadly on the British model. But in England the Mayor of London controls policing and crime. The Metropolitan Police is under him, not the British government. Besides, unlike the Delhi Chief Minister, who is unreasonably denied the control of the Delhi Development Authority, the Mayor of London also controls housing and land, along with all other departments like health, business and economy, education and youth, environment, transport, etc. It would be more rational to carve out a core area out of New Delhi, comprising the Rashtrapati Bhawan, the offices of Central government ministries and residential areas of ministers and high officials, and designate that core area as a Union Territory, governed by the central government. The rest of Delhi should be left to be governed by the popularly elected Delhi government. It would then be a government in its true sense and would be able to fulfill the aspirations of the people who elect it. 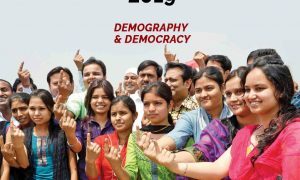 We pride ourselves by calling our country the largest functioning democracy in the world. However, John Kenneth Galbraith, the U.S. envoy, who was a perceptive observer of the world scene, had called India the largest ‘functioning anarchy’. His description fully fits the present Delhi government.